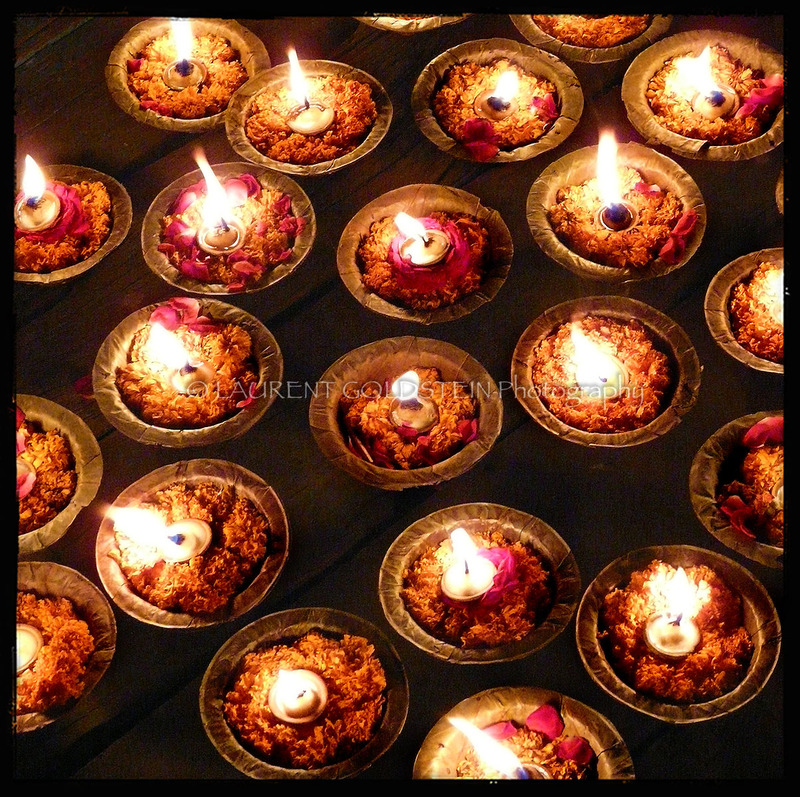 “May you all attain full inner illumination! 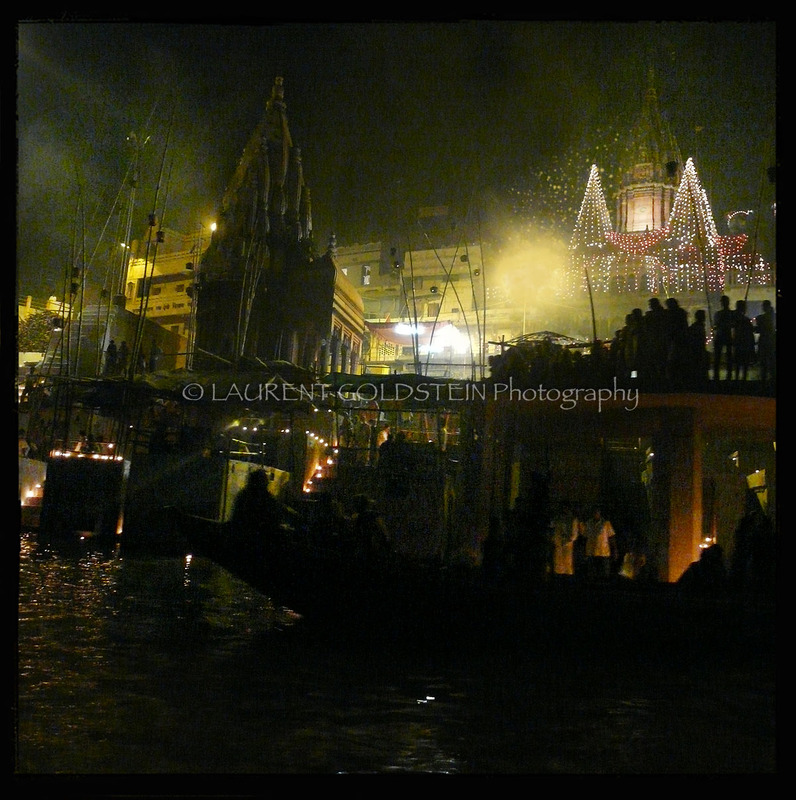 (This picture was shot in Varanasi (Benaras) during Dev Diwali as Anand was taking all of us on his boat for a ride along the Ganges). “The sun does not shine there, nor do the moon and the stars, nor do lightnings shine and much less fire. 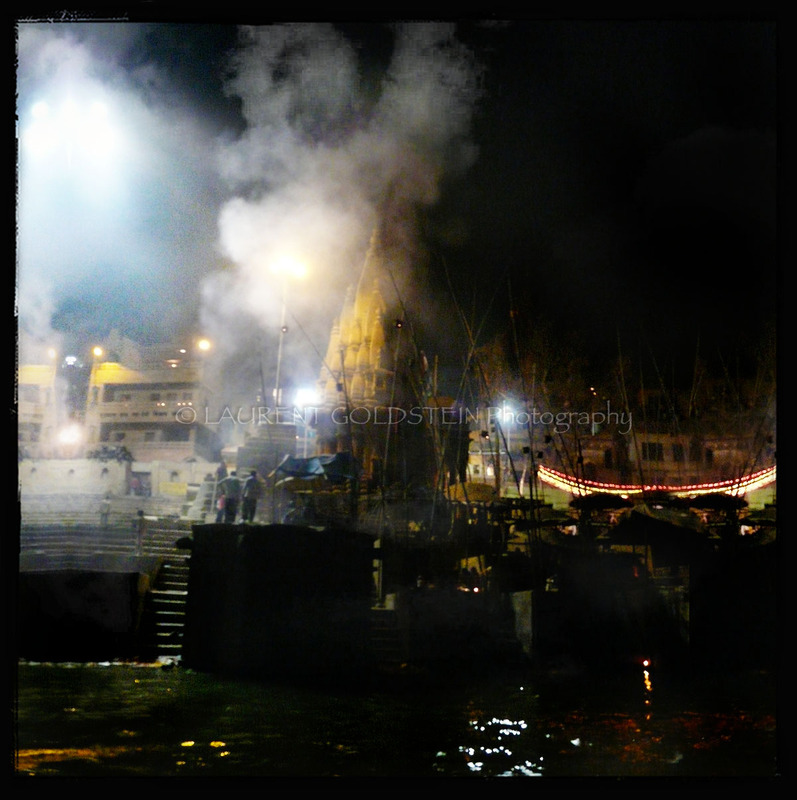 This is a picture of Jain ghat in Varanasi (Benaras) shot during Dev Diwali. “People should not worry as much about what they do but rather about what they are. If they and their ways are good, then their deeds are radiant. If you are righteous, then what you do will also be righteous. 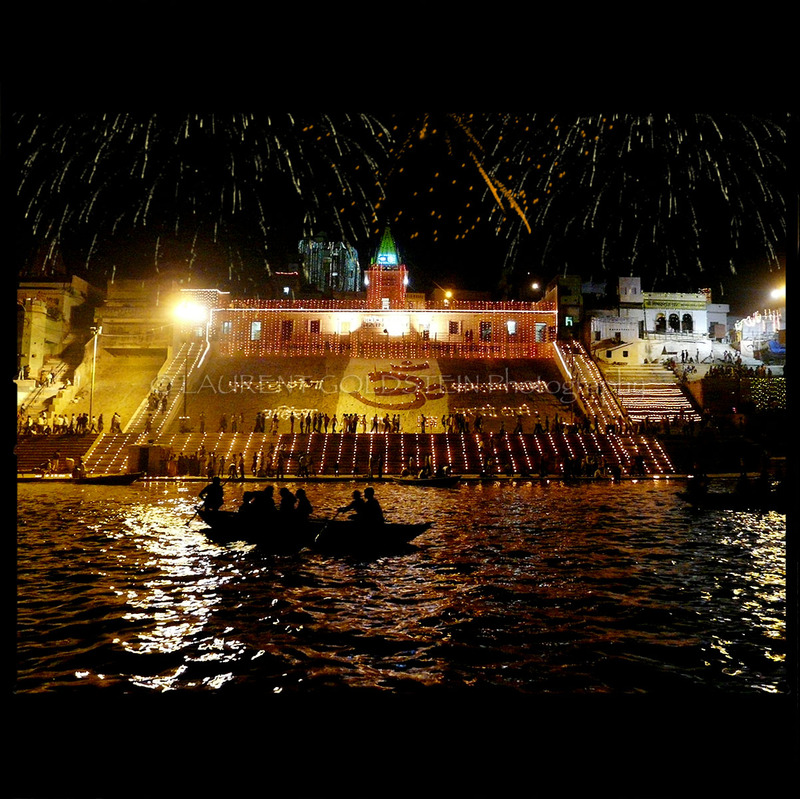 This picture was shot along the Ganges in Varanasi (Benaras), at the junction of Manikarnika Ghat and Scindia Ghat, during the celebrations of Dev Diwali. Everywhere candles are lit as a mark of welcome to God who is believed to descend on earth on that special day. 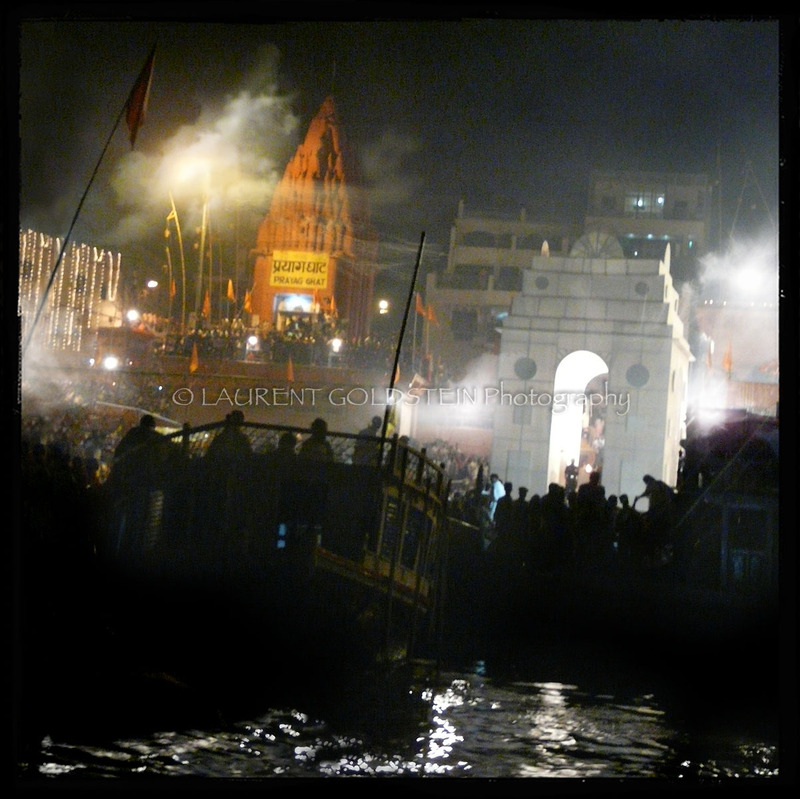 The meaning of this festival is to eradicate our inner demons while meeting the Lord. 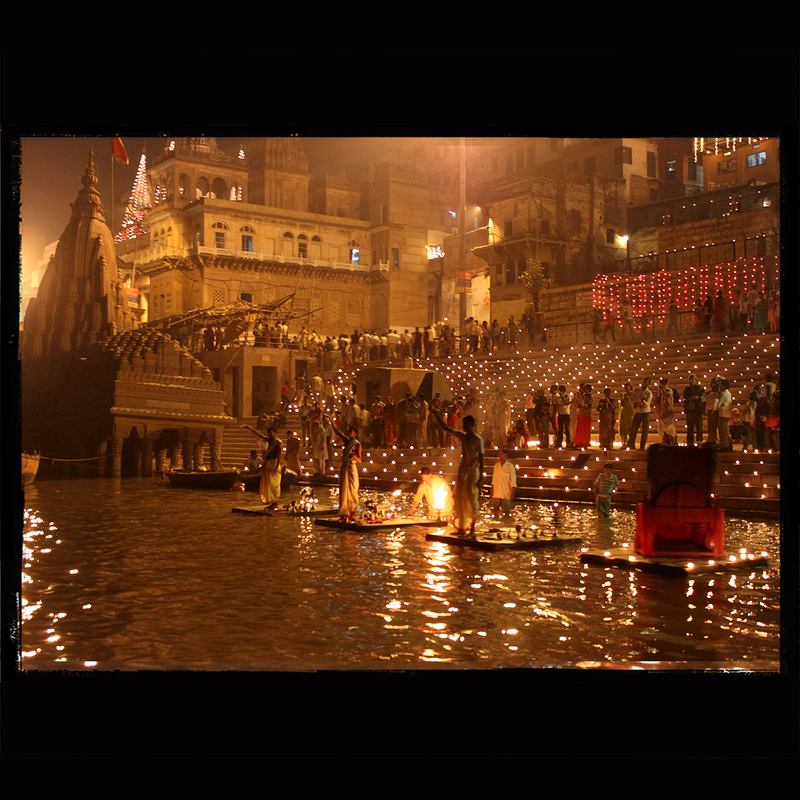 After leaving king Bali, the Lord rejoined the devas on this day, the devas celebrated His arrival in jubilation and thus Dev Diwali came into being. 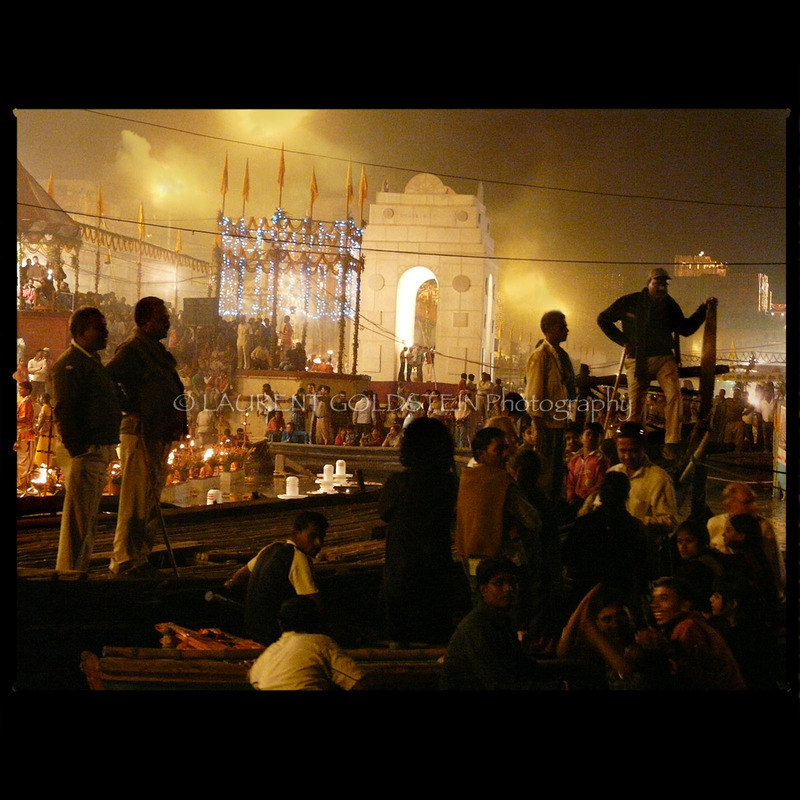 Though the devas celebrated the Lord’s return, we mortals celebrate Dev Diwali by eradicating our inner demons – the base instincts of ego, anger, greed, lust, … and the resulting manifestation of divinity within.